It's straight paper path and flatbed feed design offer more efficient printing - without causing paper jams that can waste valuable time and damage high-cost forms. 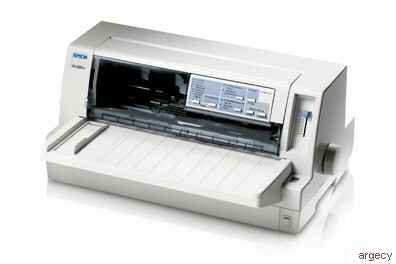 But, what's especially reassuring about the Epson LQ-680Pro is its advanced APG (Automatic Platen Gap) technology. Sensing the thickness of multiple-part forms, it automatically adjusts the position of the print head to prevent damage to the pins from unnecessary force. Line Spacing: 1/6" or programmable in increments of 1/360"